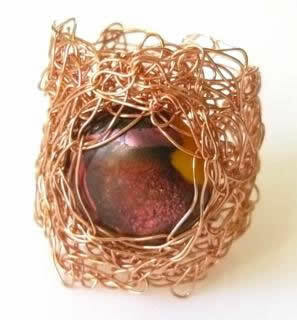 This lovely orange coloured copper wire is used to make this one of a kind ring which will fit sizes P-T. It is set with a handmade dichroic glass cabochon in brown/orange/yellow. It is 28mm wide at the top and 20mm wide at the bottom of the shank.